Without a doubt this is one of the funniest shows in Las Vegas! Many Vegas shows have been tagged as tacky, corny, cliches and much more. But not ‘Menopause the Musical.’ The show is staged in the lingerie section of a department store, and the dialog will change your mind about menopause. The show is hilarious and will have you in peels of laughter about mood swings, hot flashes, weight gain and memory loss. The topic is menopause, and the cast and crew present it in a way that is hysterically funny. After the show, many women leave with a feeling of gratitude and men also love the show too as it helps everyone see the funny side of menopause. Cindy Williams of “Laverne & Shirley” is also part of the cast, and as a seasoned professional, she plays her part to perfection. The cast is made up of singers, entertainers, and professionals. All cast members are superb and brilliant — including men, women, young or old. They will get you laughing all through the show right from the first scene. Menopause The Musical is without a doubt one of the funniest shows in Las Vegas. 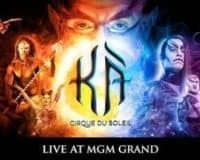 The show is a 1.5-hour stage production and is held at Harrah’s hotel every day of the week. It entertains, enlightens and empowers its audience every night of the week with fun and laughter. It celebrates all women who are experiencing menopause, and it does this skillfully with music and humor. The cast sing and dance to a parody of classic music. 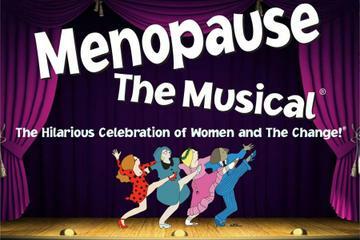 Menopause The Musical fully achieves its purpose; which is more than can be said for a lot of Las Vegas shows today. It will make every woman who is dreading the “change” see the lighter and funny side of menopause. This hilarious comedy will get you laughing about menopausal symptoms and make the experience look common and normal. 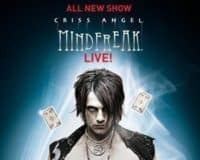 For nine years, the show has been a delight for audiences across the US, and now it is available in the heart of Las Vegas. The hotel is welcoming, and you’ll find a host of other activities that extend beyond the show- like Harrah’s gaming floor. The hotel features new contemporary Valley Tower rooms that will make your stay more enjoyable. Now home to the hit show Menopause the Musical, many who come to see it also stay at the hotel. For the outdoorsy types, there is a lot to do around the hotel. Verdict: Many who have attended the show loved it and spoke highly of it. But some people were unimpressed by their rooms and surroundings. Overall, Menopause the Musical at Harrah’s Hotel and Casino this is a really good show to see. If you love music from the 60s, 70s, and 80s, the show’s atmosphere will get you singing along with the rest of the cast throughout their performance.